Come and join our expert guides on this Small Group 4 day tour. 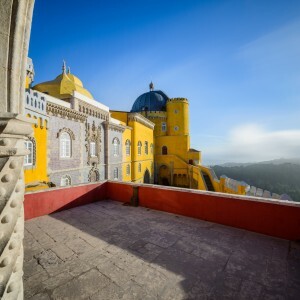 Explore the sights of Lisbon and the enjoy the mysteries of Sintra. Make the most of your time in Portugal with this 3-night/4-day tour of Lisbon and its surrounding region. Spend all three nights in a Lisbon hotel, and enjoy tours in and around the city with an expert guide, in addition to having plenty of free time to explore on your own. Discover top Lisbon attractions including the Alfama, Chiado and Bairro Alto districts, and see famous sights such as São Jorge Castle and Our Lady of the Hills. 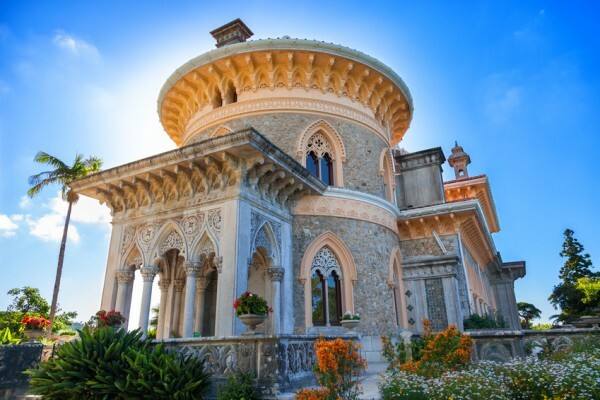 Outside of Lisbon, visit Sintra, Cascais and the Estoril Coast on a full-day trip. All tours are small-group, ensuring a personalized and valuable experience. Based in a standard- or superior-class hotel in Lisbon, spend four days exploring Lisbon, Sintra, Cascais and the Estoril region. Spend a couple days discovering Portugal’s capital city on small-group walking tours with an expert guide. Visit top Lisbon attractions, take a ferry ride on the River Tagus, and see Lisbon lit up on an evening sunset tour, during which you’ll sample Portuguese tapas and liqueur at a local restaurant while enjoying a Fado performance. Spend your other day outside of Lisbon to visit the beautiful towns of Sintra and Cascais, see Pena Palace and drive along the Estoril Coast. When you’re not on these fantastic tours, you’ll have free time to sightsee on your own. Three nights of accommodation at either Residencial Portuguese (standard hotel) or Lisboa Plaza Hotel (superior hotel) are included. Breakfast each morning at your hotel and two dinners are also included. See below for a sample itinerary with details on the tour components. Please note that the order of the itinerary depends on your arrival date, so Day 2 and 3 may be switched. Check in at your hotel in the city center, and then enjoy free time for the rest of the day to relax or explore Lisbon at your leisure. If you wish, you may join a small-group gourmet food and wine tour (own expense) to visit traditional eateries and taste some Portuguese delicacies. Your guide will give you tips on how to appreciate Portuguese wine, pastries and food. Please note: The gourmet food and wine tour is available every day except on Sundays. After breakfast, explore Lisbon on a small-group guided walking tour with food and wine tastings. Visit the Mouraria district and learn about Fado, Portugal’s UNESCO World Heritage–listed music genre. Walk around Rossio Square and Carmo Square, and go up to the top of the Santa Justa funicular. Walk through the old district of Chiado, home to boutiques and old bookstores, and compare it with Bairro Alto, Lisbon’s bohemian district. Take a short ferry ride on the River Tagus toward Cacilhas. Your tour ends at a local seafood restaurant overlooking Tagus River, where Portuguese rice with shrimps and sparkling green wine await you (food and wine tastings are included). In the evening, explore more of Lisbon on a sunset walking tour (March to October only). Walk along the former site of the Sant Antão gates (the old city’s main entrance) and see the Casa Alentejo, which showcases the culture and food of the Alentejo region. Enjoy a short ride on a vintage tram to Our Lady of the Hills (Nossa Senhora do Monte), and admire the 25th of April Bridge, the Cristo Rei statue and São Jorge Castle. In Graça, enjoy a refreshing beer, and then go to a local restaurant in the Alfama district to sample traditional Portuguese tapas, Ginjinha liqueur and wine while you listen to the rhythms of Fado. Outside the season, enjoy free time to relax, go shopping or explore Lisbon on your own. After breakfast, set off on a day trip to Sintra, Cascais and the Estoril region. Pass by Queluz Palace on the way to Sintra and walk inside Pena Park, overlooking the Atlantic Ocean, before visiting the spectacular Pena National Palace (Palacio da Pena). You’ll then have free time in the town of Sintra to explore on your own and have lunch (own expense). Next, head to Sintra Natural Park, and then enjoy a picturesque drive along the Estoril Coast to see the cliffs of Roca Cape (Cabo da Roca) — the westernmost point of Europe — and visit the surfer’s paradise of Guincho Beach. 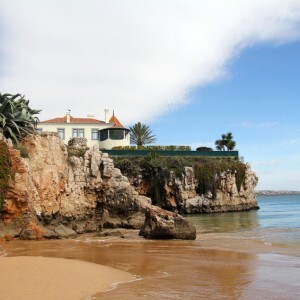 Pass by the cliff at Hell’s Mouth (Boca do Inferno) and stretch your legs in the fishing village of Cascais. 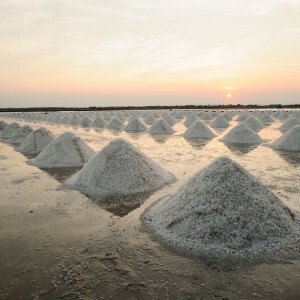 On the drive back to Lisbon, enjoy the scenic views of the Atlantic. In the evening, enjoy free time to discover more of Lisbon on your own. After breakfast, the day is yours to do as you wish. Shop for souvenirs, or visit monuments such as Sé de Lisboa Cathedral, Foz Palace, Jerónimos Monastery or the Monument to the Discoveries. Hotel checkout is at noon; you may leave your luggage in the hotel storage room while you explore Lisbon on your own. Please note: If Day 1 of your tour is a Saturday, the visit to Sintra, Cascais and the Estoril Region (as described above on Day 3) will take place on Day 2 and the itinerary for Day 2 (as described above) will take place on Day 3. SKU: 1676f9f7c7b9 Tags: Multi-day & Extended Tours, Multi-day Tours.